It’s important to thank colleagues who help you out at work. They need to hear that their efforts are appreciated, and that you are willing to reciprocate when you can. 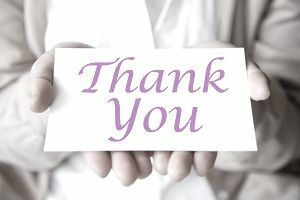 Sending a formal written thank you note when someone helps you at work is not only polite; it also serves to strengthen your relationship, heighten camaraderie, and build positive morale in the workplace. When writing a thank you letter to a coworker, it’s fine to keep the tone casual, as long as your format is correct. You can send a thoughtful handwritten note, if you feel that it would be well received, or an email. Use a professional salutation and closing. In your note, specify exactly what it was you appreciated and how the person’s input was beneficial to you or to a project you worked on together. You should also offer to help them in the future if you can. Use first names if you do so in person, and always make sure you proofread for spelling and grammar. To add even more value to your thank you email or letter, it’s a nice idea to send a carbon copy (“CC”) to your helper’s supervisor; for an email message, simply insert the supervisor’s address in the CC field. This helps to raise awareness among the “powers that be” of how important an asset your colleague is to the organization as a whole. Here are some sample thank you letters to send or email to a colleague. This is an example of a thank you letter to send to a coworker. Download the thank you letter template (compatible with Google Docs and Word Online) or see below for more examples. Thank you so very much for meeting with me yesterday regarding the project I am working on. Our process was nearing a stand-still as we struggled with the supply-chain issue. I really appreciate your assistance, and am looking forward to implementing many of your great suggestions to prevent this issue reoccurring in the future. It was helpful to have someone who has had experience with similar projects with whom to discuss ways of fine-tuning and optimizing our processes. Thanks to your contributions, this current project should go live well in advance of its original deadline. I appreciate your taking the time out of your busy schedule to speak with me. I'll be sure to send you a follow-up when this project is complete. Please let me know if and when I can return the favor. Again, my sincere thanks for your invaluable assistance. I really appreciate you taking the time to review the budget for my new project. Your wonderful suggestions helped me to identify some items I might have overlooked, and so now I’m confident that the budget will be approved when it goes up for review next week. Your attention to detail is really impressive! Please don’t hesitate to ask if I can reciprocate the favor and offer my assistance to you in the future. I really enjoyed working with you, and I will keep you posted on the outcome of this current project. Thank you for all your recent help during the massive restructuring of my department. You and your staff have been indispensable in helping us to maintain our productivity even in the midst of our shuffling positions and responsibilities. I’m confident that these changes will benefit the bottom line of the company as a whole, and I have let Rick Lam know how extremely helpful you’ve been to me and our team over the course of the past few weeks. If I can help you at all in the future, please let me know. Business thank you letters samples for a variety of business and employment related scenarios, including thank you letters for employees, employers, colleagues, clients, and networking contacts. How to write a thank you letter, including who to thank, what to write, and when to write an employment-related thank you letter.